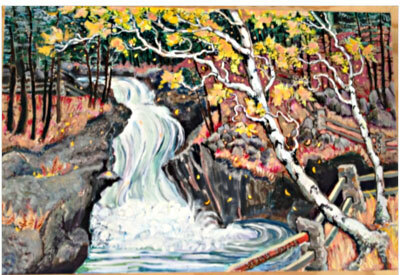 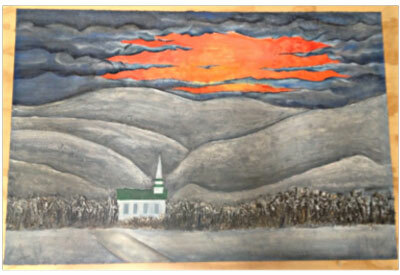 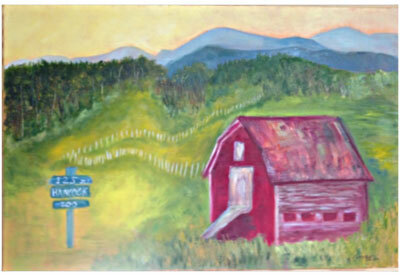 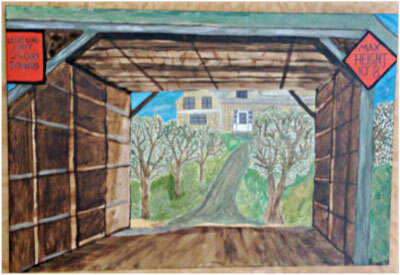 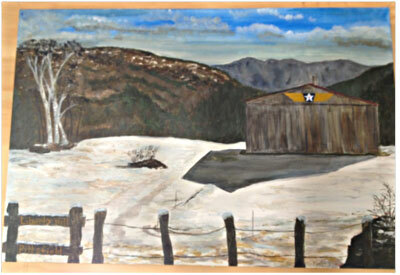 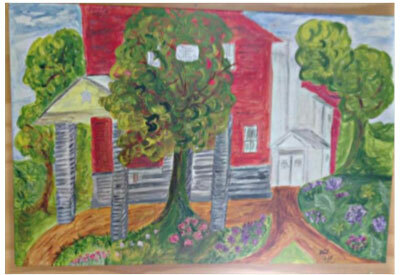 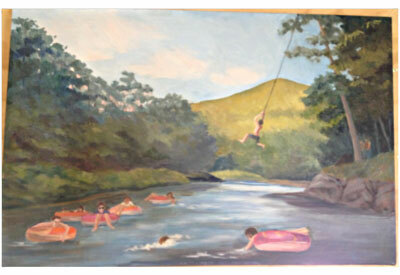 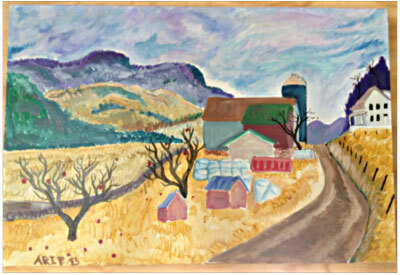 Paige Crickard’s senior art project included 10 paintings created by various artists in the community. 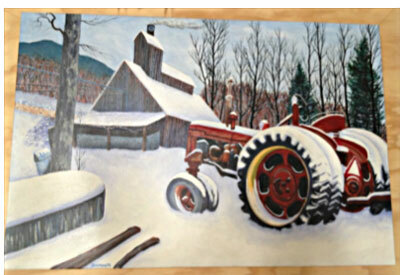 Each painting depicted Rochester, Hancock, Granville, Stockbridge, and Pittsfield during a particular season. 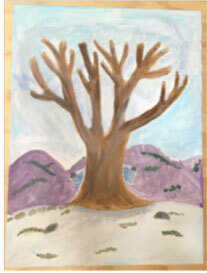 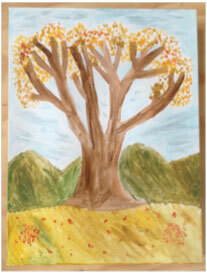 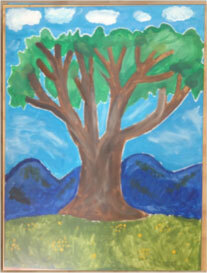 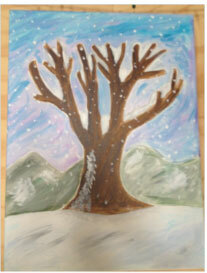 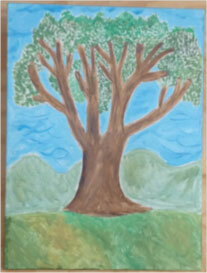 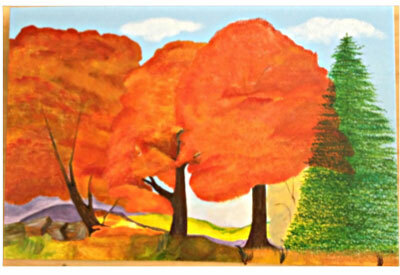 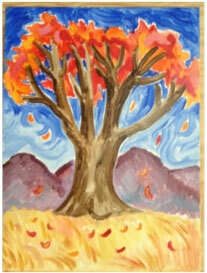 Paige painted Trees to go between the paintings and captured the colors of the seasons.